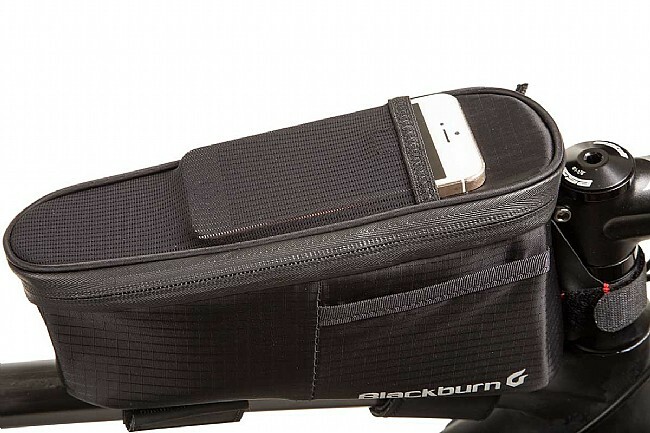 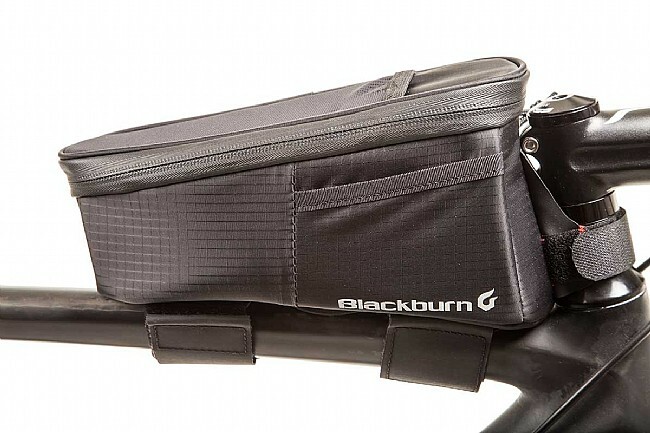 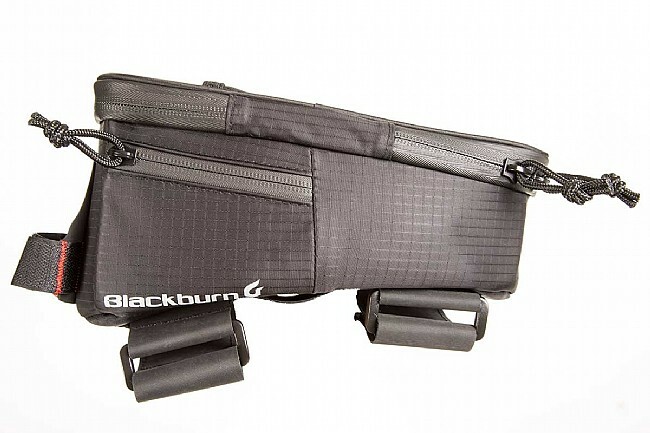 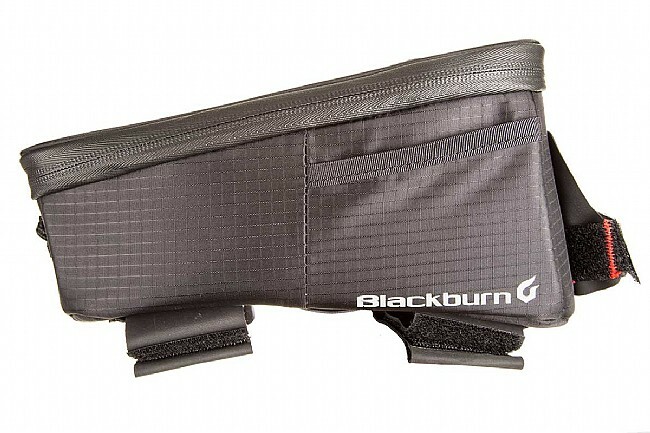 The Blackburn Outpost Top Tube Bag houses long-ride or multi-day essentials in a premium build-quality package. 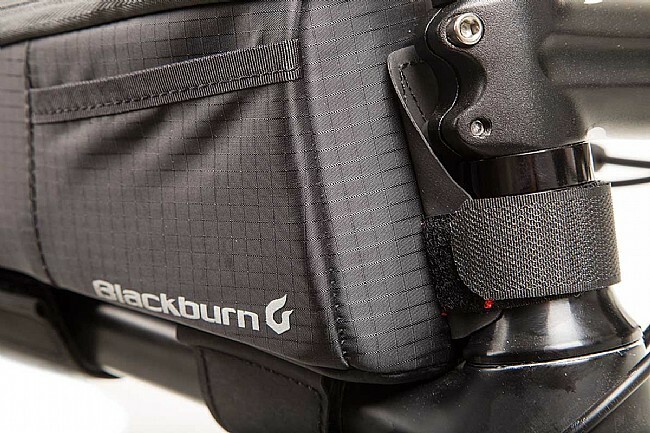 Robust 70D nylon and 4 mm ripstop construction utilizes heavy-duty hook-and-loop closures for stable mounting and weather resistance. 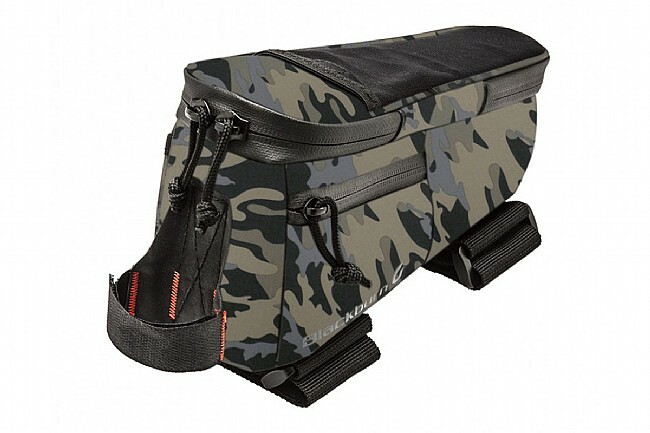 The main compartment features 1 liter of storage capacity and contains an adjustable internal divider and key lanyard. 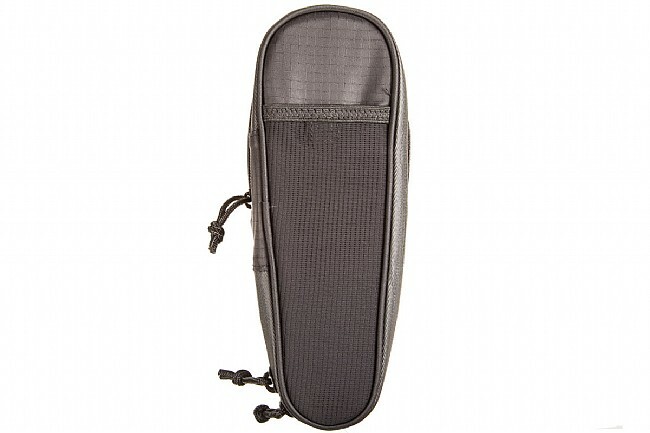 Outside, an elastic mesh pocket is ideal for quick access to a phone, and ID and cash pockets at either side provide secure and convenient stash points.